A world heritage site, a geographical marvel, a scenic beauty to behold! Intrigued yet? We’re talking about Uluru in Australia, meant for the traveller in Uluru, also known as the Ayers Rock, located towards the southwest corner of Northern territory is Australia’s iconic ‘red centre’. If you’re an explorer by heart, Uluru must be in your bucket-list of offbeat destinations! Uluru is a sandstone formation standing 348m tall and is one of Australia’s most recognisable natural landmarks. Uluru is notable for appearing to change colour at different times of the day and year, most notably when it glows red at dawn and sunset. Known for its sunrise and sunset, there are specific spots to fill your cameras with spectacular views of this beautiful landscape. Take a sandy walk or rent a Harley Davidson as you explore this mysteriously beautiful territory in Australia. 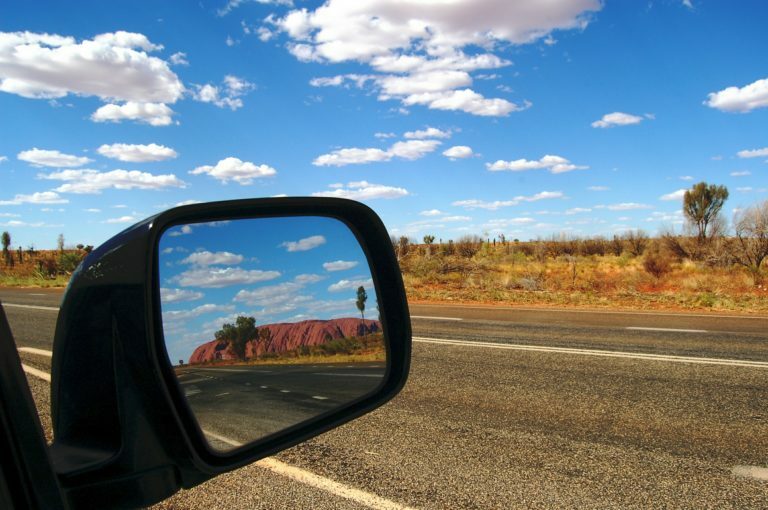 The Uluru-Kata Tjuta National Park offers experiences that will leave you wanting for more! 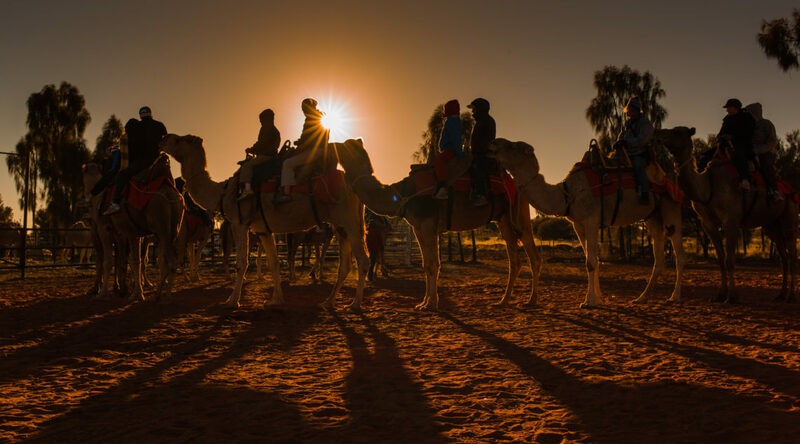 Take a camel tour to explore the desert and wander around the place, watching the ever elusive horizons that keep changing colours as the evening progresses. 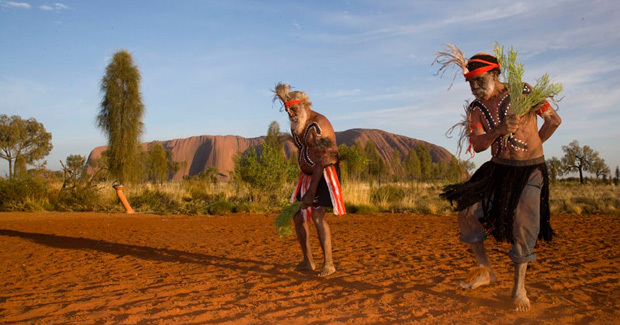 If you’re interested in the historical and cultural significance of the place, Uluru is more than a rock in a desert. It is a sacred land of culture, carried over generations. Enter through the Tjukurpa tunnel and learn about the traditional and ancient culture of the area. 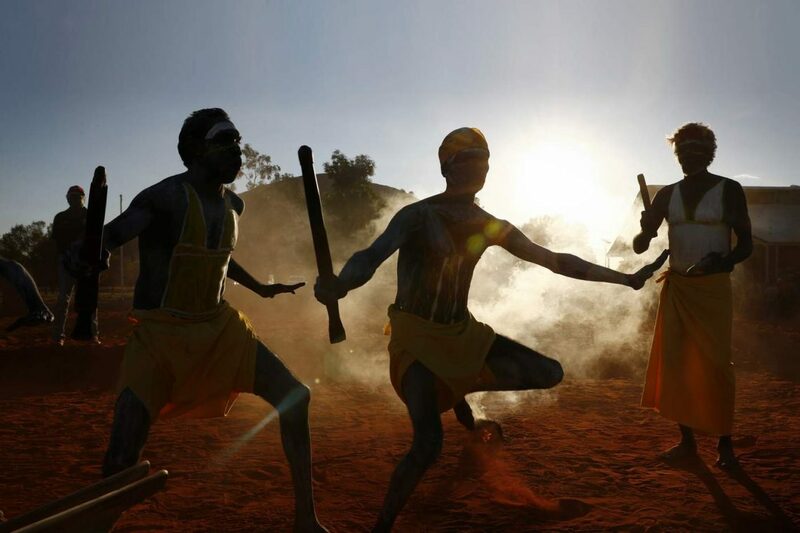 The tribals narrate tales of their culture through singing and dancing. To fully appreciate and respect their culture, visitors are asked not to film in the precinct. 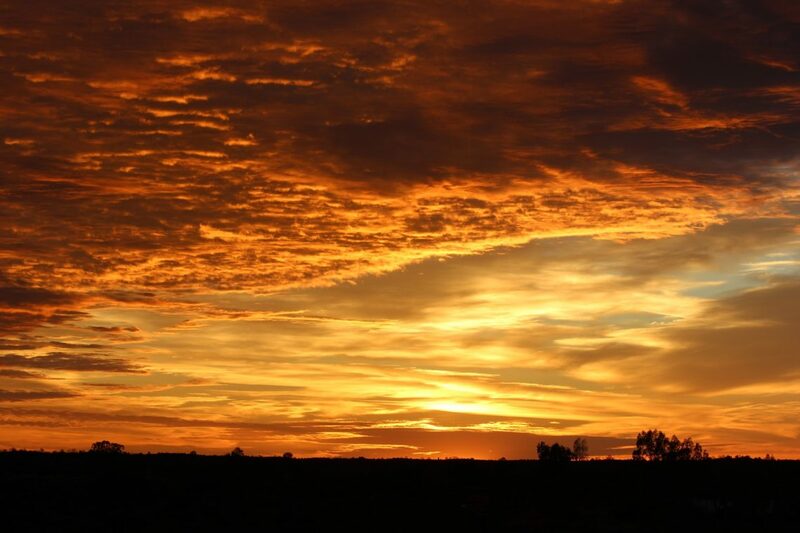 Sit back and soak in the desert air, as you enjoy the picturesque views of Uluru. After all, what’s a vacation without relaxation? The nights here are equally enchanting with a dazzling sky. If you’re into astronomy, sign up for a workshop with an expert and learn about the different constellations, stars, and planets on your trip.If you’re on a romantic holiday, take your loved one for an intimate dinner under a canopy of stars! Red landscapes, heavenly starlit skies and the cultural beauty of the place will make you want to stay for a little longer and The Q Experiences will make it happen for you!